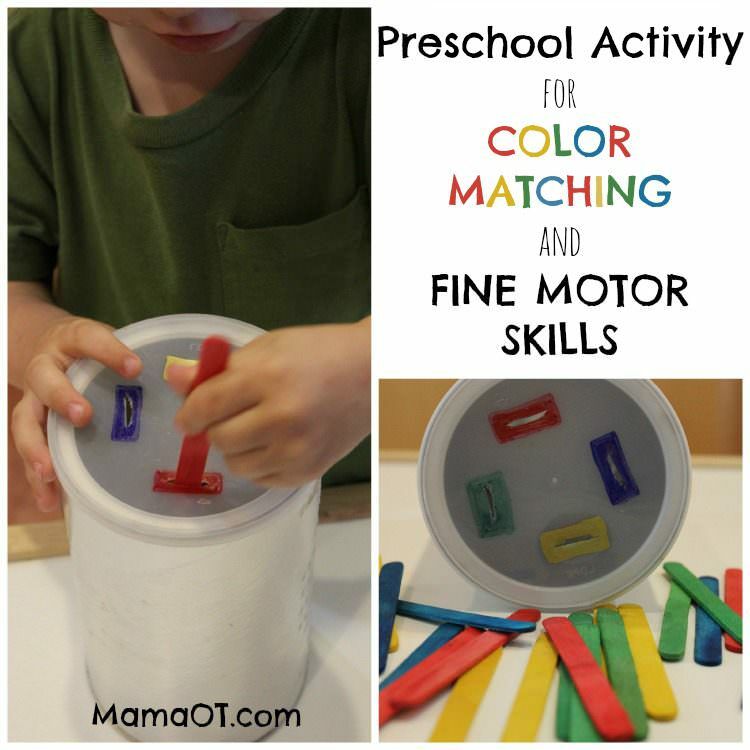 Quick and easy Fine Motor Skills and Color Matching activity that challenge a variety of skills. Suitable age: two years to five years old. This activity was created by Mama OT who is a Pediatric Occupational Therapist . DIY Color Matching Pegs Do your children seek opportunities to color match? Here is a good idea!